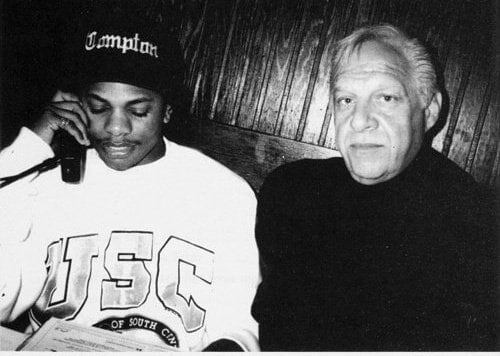 Jerry Heller, a manager for 1990s rap group N.W.A., has died. According to Billboard, the cause of death is currently unknown. Heller was instrumental in bringing the Compton rap group and their Ruthless Records label to worldwide fame, but was later derided in print and in verse by both Dr. Dre and Ice Cube for pushing the group toward a break up. A native of Shaker Heights, Ohio, Heller entered the music business in the 1960s and 1970s as an agent and promoter for major acts, including Elton John, Marvin Gaye, Creedence Clearwater Revival, and Pink Floyd, but experienced a major career decline in the 1980s. In his 40s, Heller found his footing again when he turned to the Los Angeles rap scene and eventually connected with the late rapper Eazy-E (né Eric Wright), who asked Heller to invest in his label, Ruthless Records, and manage its acts, including N.W.A., which released their highly-influential debut record, Straight Outta Compton, under his guidance in August 1988. By 1991, however, Ice Cube and Dr. Dre departed the label, claiming that Heller and Eazy-E had not paid them properly. 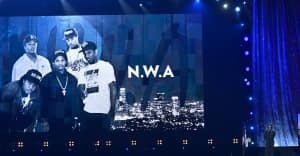 The decades-old feud continued, when Heller sued both rappers and many of the individuals associated with last year's Straight Outta Compton biopic over the way he was negatively portrayed by actor Paul Giamatti as well as factual inaccuracies. In June 2016, a judge dismissed most of Heller's $110 million lawsuit except one claim, which had yet to be resolved at the time of his death. "I consider the most important period of my life, from March 3rd, 1987 I think it was, to March 26th, 1995, the day I met Eazy-E and the day he died," Heller told Rolling Stone last year. "To me, that was the most important period of my life, of my career, and the part that I am most proud of."